Running a local business without an online presence in today’s landscape is a poor marketing strategy. Fortunately for the less tech-savvy people, there are many easy options to create a site and one of it is to use the free Google website builder. How do you use the program and what benefits can it offer your business? Let’s find out more. 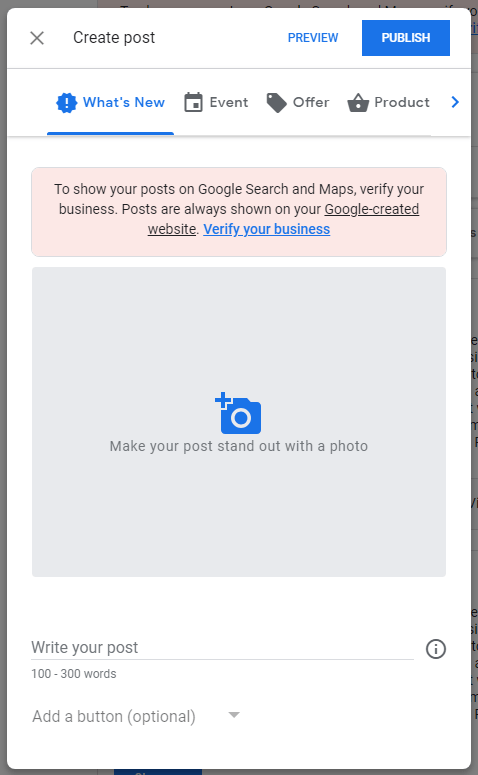 This is just one of the many services provided by Google My Business (GMB), so in order to get access, you need to create an account by verifying the business first. It’s a pretty straightforward process and only takes a few minutes of your time. At the back office of the GMB account, you’ll be able to access the builder program by clicking the ‘website’ tab located on the right hand side of the dashboard. 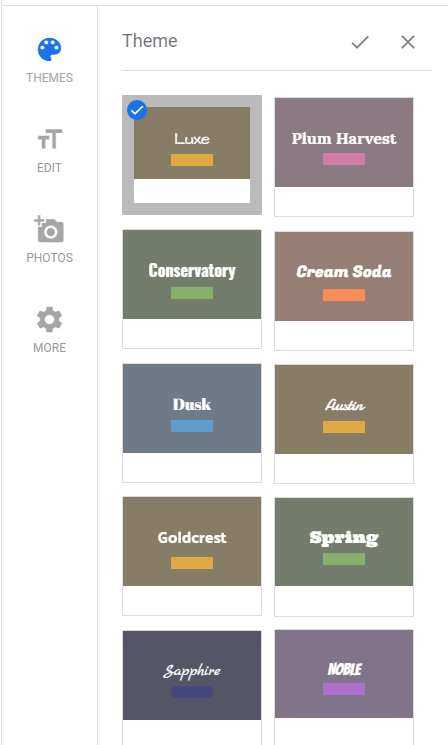 The first feature that you’ll see in the editor is the theme selection. Typically, there are 10 variations to choose from and the main differences lie mostly on the font style and the color of the CTA (call-to-action) button. The next feature which is ‘Edit’ is where you’d customize the text on the CTA button, insert headline and description on the website as well as a brief summary on what your business is all about. The third is where you get to add a photo gallery to the site and this includes uploading profile images, videos and images that depict your business activities. Keep in mind however that, these media will be reviewed to ensure guideline adherence before they can be published live. The last feature available is for you to create short posts on the website. This can be in the form of article updates, event shout outs, offer announcement and product promotion. Each has its own custom format already in place so for instance, to publish an event, you can easily insert the start/end date and for products, you can list the price and direct customers to purchase. When done filling out all the necessary information, just hit publish for the site to go live. Google is a great resource for all types of businesses and the inclusion of the website builder does take away the barrier that often comes with creating an online presence. 1 – For starters, it’s very easy to set up and doesn’t cost anything, so if you have a very limited marketing budget, this is a good platform to use. Since the features are also responsive, you can easily edit information through the mobile application which is available on Android and iOS. 2 – As a component of GMB, it offers the advantage of geo-location because upon listing verification, a map and direction will be generated for the address mentioned. This provides convenience for customers to navigate to your business via the information on the website. 3 – If you are planning to promote your products/services through paid traffic, the advertisement campaigns can be easily integrated to improve sales conversion through specific call-to-actions that are already in place on the website. Like any free web services, Google website builder does come with its own limitations and here are just some of them that would make you think twice before using it. 1 – There’s a lack of online branding when it comes to naming your website because the domain that’s autogenerated sits on a subdomain called business.site. So if your store is Murphy Coffee, then the domain that you’d see is murphycoffee.business.site. That’s a fairly long name to remember, especially for customers so it’s not something that I would recommend for local businesses. Instead, you should be using a more professional name like murphycoffee.com. Fortunately, this type of custom domain can be purchased from Google for $12 per year or from any of these private domain registrars. 2 – As far as themes are concerned, there’s nothing fancy about them. The layout and design are way too basic for today’s business online presence. What you are basically creating is one big header image, followed by some posts and lastly, the contact information/map at the bottom. Essentially, the entire set up is more of a web page than a website. On top of that, there are only eight variations of the same theme to choose from. That, in my opinion, is simply not enough to cater for the varieties of small businesses out there. 3 – Remember the part about creating posts for the site? Well, you are only allowed a maximum of 300 words per post so that’s quite limiting if you wish to describe more about your products or services. Overall, this quota plus the one pager layout means that there is a limited amount of content that one can publish on the website builder. This can be frustrating if you are looking to provide more information for the customers online. 4 – By now, it should be clear that there are no features to assist in transactional activities such as product ordering, service booking or customer sign up. In order to process those, you actually need to link to another site such as an online store or booking form. Navigating customers from site to site isn’t entirely a bad thing, but you need to ensure that the transition is technically smooth otherwise, it would result in poor user experience and affect your business opportunities. When I built my first website with WordPress in 2014, the set up was way easier than expected and it’s amazing how much it has grown since then. Hence, I have no doubt that local businesses can equally benefit from using this platform. 1 – While the software is free to use, you’ll need a hosting service to run a WordPress site. 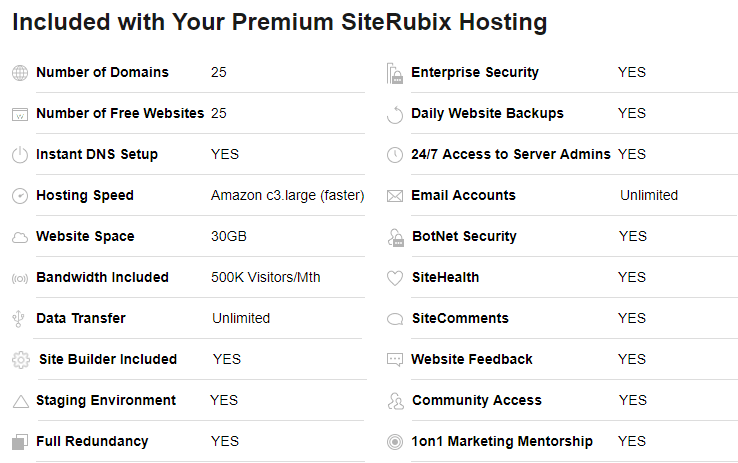 Fortunately, there are many good options out there and one of them is the SiteRubix hosting which allows up to 25 custom domains and 35 GB of website space in a single account. At about $30/month, their hosting is fast and reliable PLUS, you’ll also get a premium access to a community of online entrepreneur training. 2 – One thing good about WordPress is that it has a huge selection of themes that are different from one another. In the editor area, navigate to Appearance > Themes and enter a keyword related to your business to filter the choices. If you like what you see in the preview, just click ‘select’ and ‘activate’ to install the theme. Free themes are good for those who are just starting out and paid themes are suitable when you are more familiar with the ins-and-outs of WordPress and needed something sophisticated for your site. 3 – With more storage space comes more flexibility in managing different activities under one roof. This is possible because WordPress uses plugins to diversify its functions. So besides allowing for longer articles and comment engagement, you can also operate an online store as well as perform bookings for your services on the same site. This makes everything more centralized and easier for the users to navigate. 4 – Last but not least, WordPress offers a lot of SEO (search engine optimization) benefits because it is designed that way out-of-the-box. From permalinks to plugins, there are many ways to tweak the settings for SEO even without professional help. So, if you don’t have the budget for paid advertising, optimizing for the search engines can potentially attract a lot of free traffic to your business site. However, don’t take my word for it. Why don’t you create a free WordPress website using the plugin below to see how it can benefit your local business in the online space? So, Is The Free Google Website Builder Worth It? 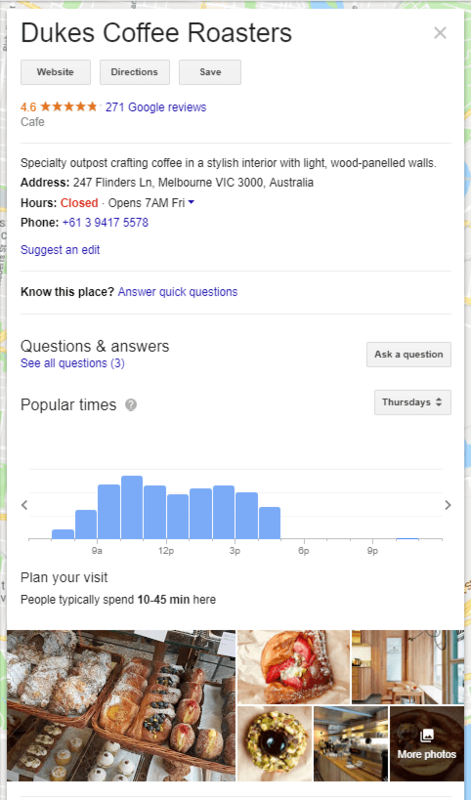 While I am not that impressed with some of the features within this builder, I must say that the geo-targeting and call-to-action features are very helpful for local businesses to attract customers. Getting free access to these listing services means that even the smallest of store can build an online presence with zero budgeting. However, once the business is fairly established and you want to manage everything using the same platform, then I would recommend using WordPress because it offers more marketing functionality. Just remember to add the link to your WordPress business site when updating the listing information on your GMB account. I hope that this article has given you a good overview about the pros and cons of the free website builder and you are now more knowledgeable about growing a local business successfully on Google. If you like to learn more about this topic, do check out some of the local marketing training in my recommended online platform here. Question – What type of builder do you use for your local business website and how is it working so far? Please share your comments below. There’s no denying that setting up a website for a local business will be more beneficial than using the free Google builder. But if someone doesn’t have the time and doesn’t want to handle the technical aspects of maintaining one, the free option is always a good place to start, in my opinion. There are a lot of tools out there that can help entrepreneurs and this seems like one of them – a good one by the looks of it, in my opinion. There are many local businesses in my city who have Google listing set up but don’t point to a specific website. Now I know they can actually benefit from this free builder even if they don’t want a professional looking website yet. I tried Google website builder before. While you can build for free, they are very plain and more like white pages advertisement with a picture if someone does happen to click on the site. For a person just starting out without any type of advertising budget, it would work but still, requires a few skills to put it together to make it look decent. After much experimentation, I decided to go with WordPress and actually ended up with a website that is easy to use and customer-friendly. Hosting for WordPress is usually reasonable so most small companies should be able to afford it. My brother in-law is a hard working roofer who is recently going out on his own and I am going to develop his web presence for him. I just secured his URL the other day, but I won’t be using the Google website builder because of the 300/post word count limit. Very restrictive. Thank you for informing me on the Google listing feature though. I suppose I will also add him to Yelp too. As a business owner I would do both. To me this is a no brainer. At $12/yr and the relatively low cost for WordPress both and feel pretty confident I have to proper tools. Google My Business sounds like a good online marketing opportunity for local businesses and $12/year for a professional URL should not be a problem for most business owners. I would do both as a business owner. I would create my WordPress Site and use the GMB opportunity. WordPress is perfect for bloggers and anyone who wants to promote stuff online. What amazes and shocks me at the same time is how dependent any kind of business is on Google and their free tools, whether it is Google Analytics, GMB, Google Search Console or Google Adwords. Google is taking over the world.